6 1/2' Market Umbrellas Patio Umbrellas . Six Foot Wood Market Patio Umbrellas. Market Umbrellas Patio Umbrellas with elegant canopy, sturdy wood framework. Add protective slip cover below. Replacement Market Umbrella canopy for 6.5' and Replacement canopy for 6.5' Patio Umbrella. 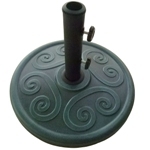 Heavy duty patio umbrella suited to commercial and residential settings. 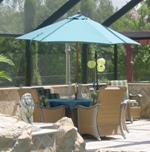 Commercial grade, Gravity fed automatic tilting Auto Tilt Patio Umbrella. 7' Market Umbrellas Patio Umbrellas .